School is back in session and what a great way to kick off the school year with some Hormel Rev Wraps I have nothing but great stuff to say about these and how much our family loved them. These would be great to put in your child's lunch for the day or even a afternoon snack. Or a last min meal when you need to run out the door. 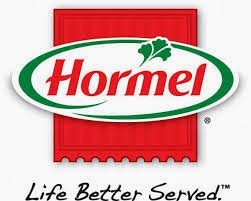 As part of the Hormel Foods Extended Family Blogger Program. We were able to try 7 different flavors. These were amazing. I love the taste of the mixed meats together. Even my children loved these. Some of the flavors were pepperoni pizza, ham and cheese, italian style, spicy italian style and much more. These went really fast in the house every single one was a hit. You can eat these straight from the refrigerator or you can warm them in the microwave. Either way would be great. For me personally I ate mine straight from the fridge and so did everyone else. Probably the pepperoni pizza one was my favorite!! And as you can see from the picture they aren't greedy with their meat. This was very filling and satisfying.